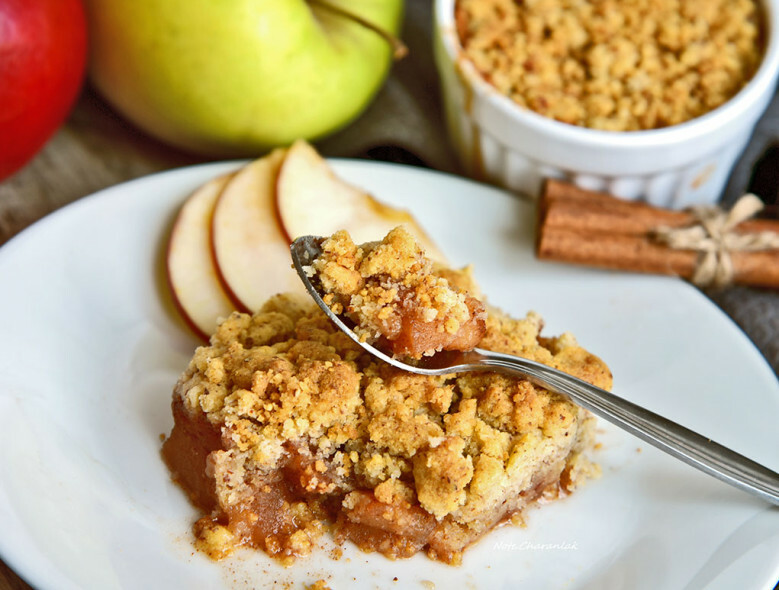 Some of this warm Apple Crisp is sure to satisfy your sweet tooth. Wondering how to fit in dessert this Thanksgiving? Check out our tips to Adjust the Holiday Meal Plan. Preheat oven to 375° F. Coat a 13 x 9-inch pan with cooking spray. In a small bowl, combine brown sugar, flour, oats, margarine, cinnamon, nutmeg, and vanilla. Blend with a fork until moistened (mixture should be crumbly). Layer apples in a pan and sprinkle brown sugar mixture evenly over top. Bake 30 minutes.